Lauding the efforts of the Indian Army soldiers, PM Modi said our forces "don't speak but act". The Prime Minister's statement could be a reference to the 'surgical strikes' carried by the Indian Army on September 29, however, he doesn't mentioned it directly. Prime Minister Narendra Modi on Friday addressed the ex-servicemen at the inauguration of a war memorial Shaurya Samarak at Lal Parade Ground in Bhopal, Madhya Pradesh. 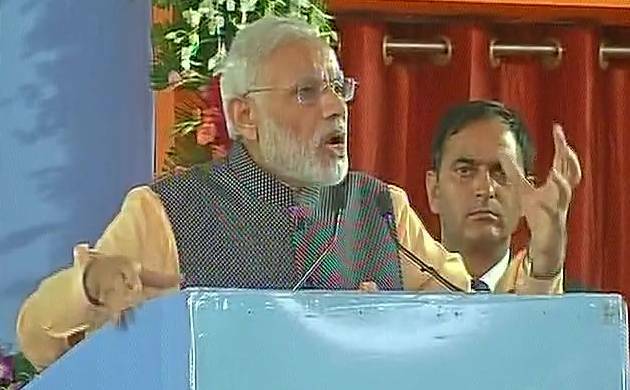 Lauding the efforts of the Indian Army soldiers, PM Modi said our forces "don't speak but act". The Prime Minister's statement could be a reference to the 'surgical strikes' carried by the Indian Army on September 29, however, he doesn't mentioned it directly. Bhopal Deputy Inspector General of Police (DIG) Raman Singh Sikarwar said 5,000 policemen have been deployed at the airport, route and the venue of the three events. He said police were keeping an eye at public places like stations, bus stands, hotels and hostels. The Shourya Smarak is built at Arera Hills spread over an area of 12.67 acre land and constructed with a cost of Rs 41 crore. Modi is scheduled to meet the Jain saint Acharya Vidhyasagarji Maharaj at a Jain temple.